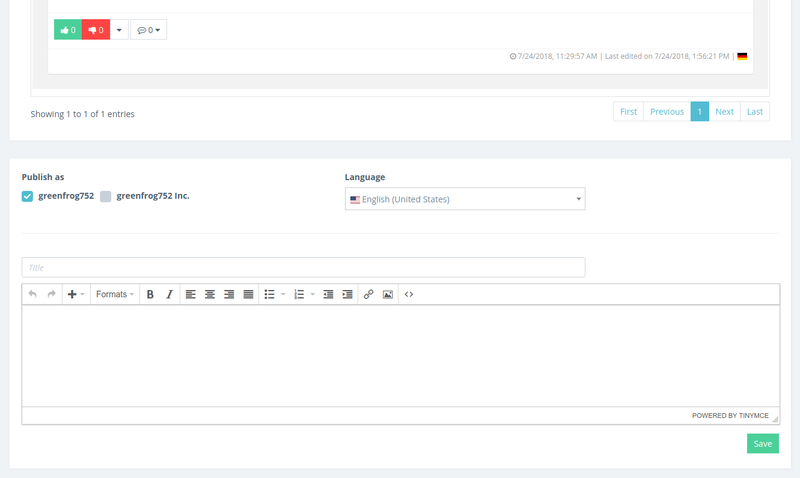 Despite some performance improvements, some minor bug fixes and some layout tweaks this release features message boards. 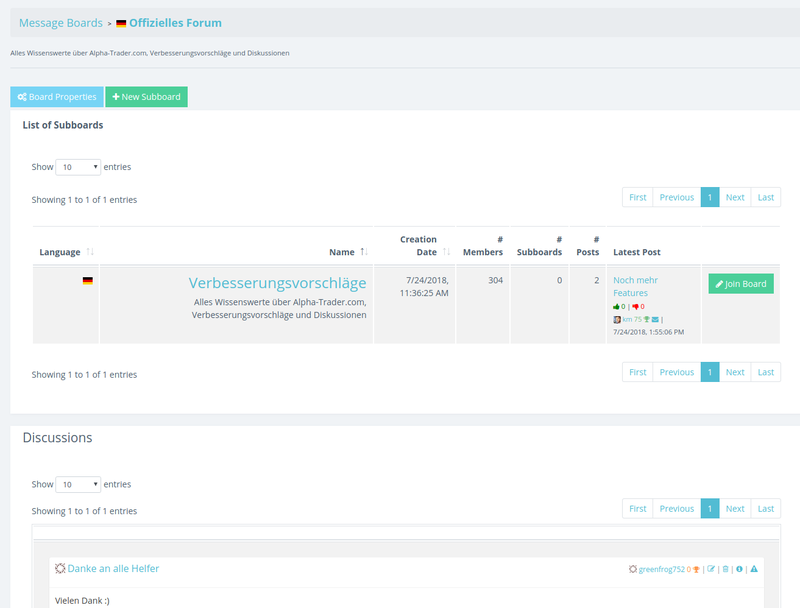 To gather all pages that deal with the community a new navigation group in the sidebar was added: Community. There are public and private message boards. Public message boards can be found without invitation and everyone can join and discuss in them. 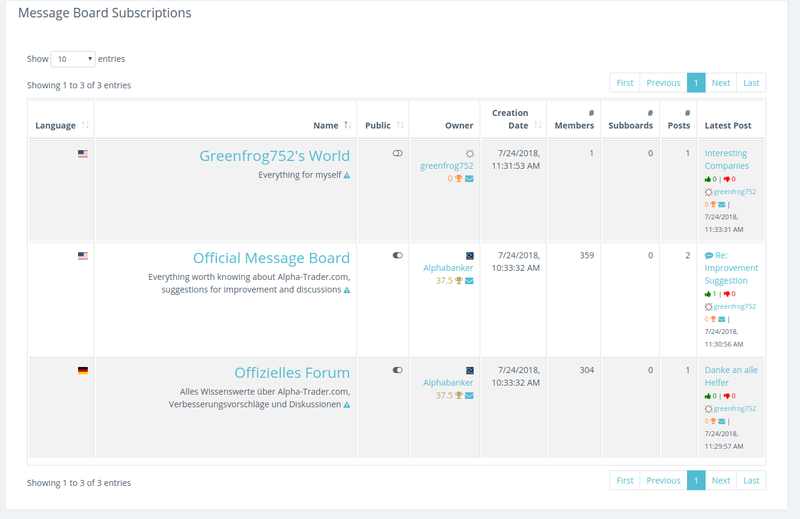 Once you participate a message board or join one or be added to one you see those message boards in your message board subscriptions. 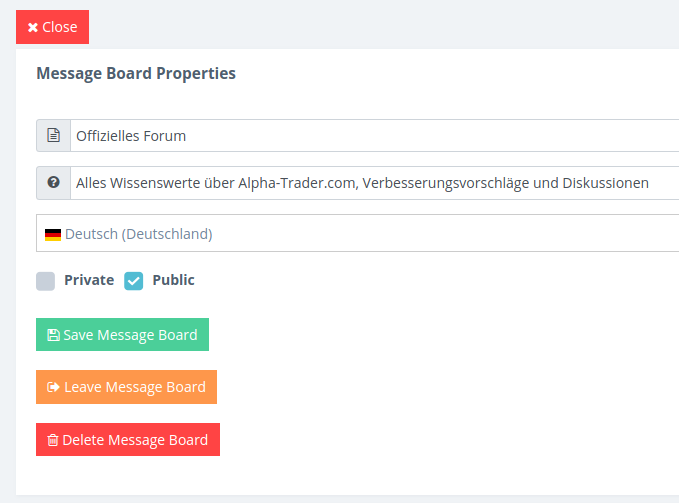 If you have the impression that a message board title or description are offending or against legal law use the complaint button to file a complaint about and send a notification message to the owner. 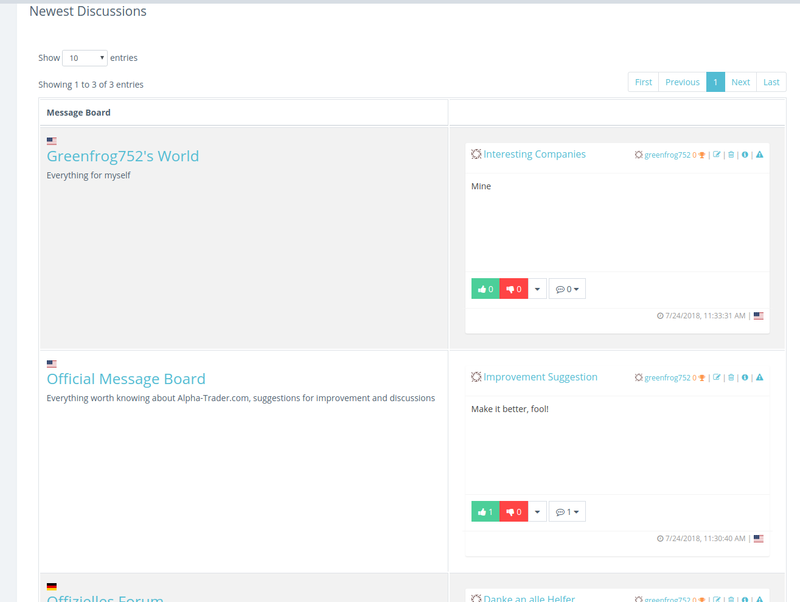 The main message boards page shows supscriptions and newest discussions of your subscribed message boards. On the main message boards page you can browse all public message boards. 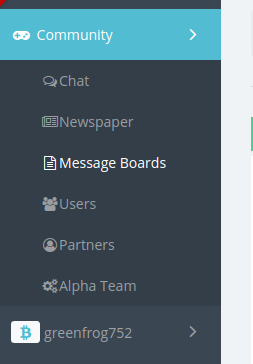 On the main message boards page you can add new message boards. If you open a message board you see its subboards (if it has any) and the discussions of it. You can start a new thread below. 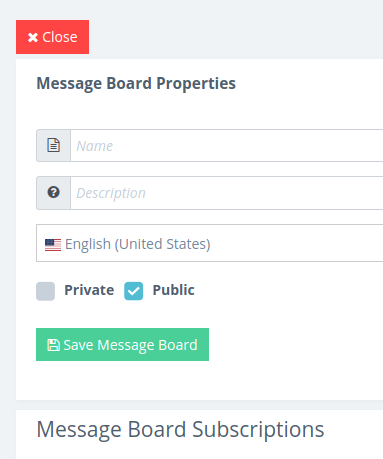 You can change the name, description, locale and visibility of a message board. You can change memberships, add members or remove them too. 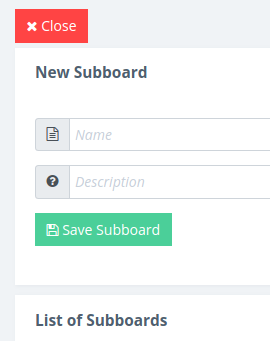 You can add subboards to any (sub)board on its page.